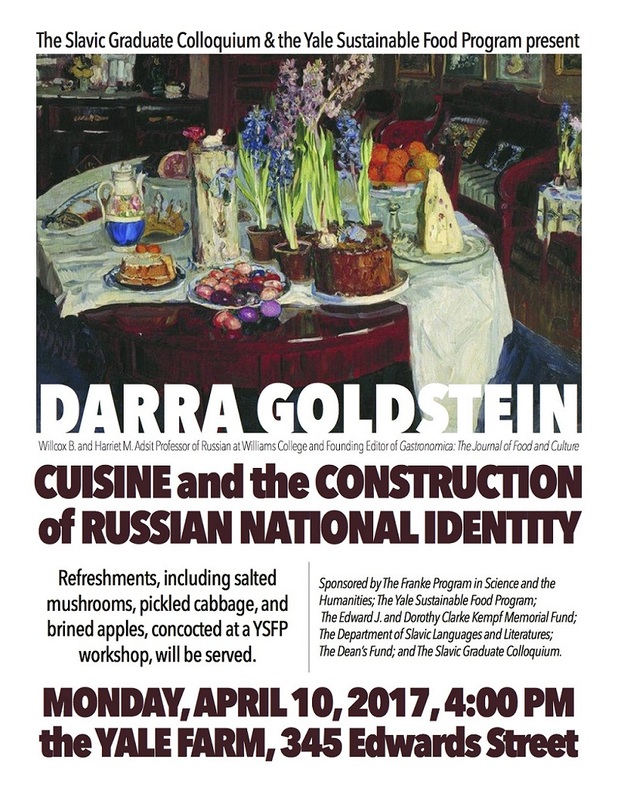 Description: This talk explores Russian national identity and cuisine from the 18th century into the present. Ever since Peter the Great opened his country to the West, the Russians have struggled with ambivalence toward outside influences. This unease has extended beyond political wariness into cuisine, with Western foodways alternately embraced and rejected over the years. Today, following Putin’s invasion of Ukraine, Western food is again politically fraught. The economic sanctions imposed by Europe, Australia, and the U.S. have led Russia to ban imports of meat, fish, fruit, vegetables, and dairy products, causing widespread food shortages. Russians are famously accustomed to deprivation, but these latest shortages have led not to resignation but to a gradual revival of artisanal production that is transforming Russia’s gastronomic landscape. We can see a new form of nationalism being played out in the culinary sphere. Sponsored by: The Franke Program in Science and the Humanities; The Yale Sustainable Food Program; The Edward J. and Dorothy Clarke Kempf Memorial Fund; The Department of Slavic Languages and Literatures; The Dean’s Fund; and The Slavic Graduate Colloquium.